In the 1989 film Field of Dreams, an Iowa corn farmer’s vision for a baseball diamond in the middle of his corn field is memorialized with the now famous quote “If you build it, they will come”. So to, with the creation of “The Glades” on the Randolph Community Forest. One of the goals of the Forest Commission has been to encourage outdoor recreational opportunities on the RCF, not only in the summer, but also in the shoulder seasons of spring and fall and certainly the 6 long months of winter we experience here in Randolph on a yearly basis. 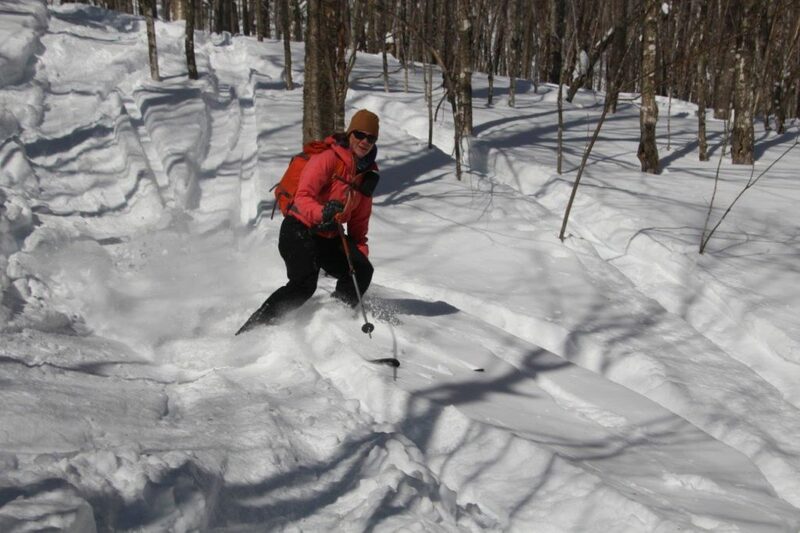 And for the past couple of years, a local group, nicknamed the Randolph Society for the Advancement of Backcountry Skiing, has been maintaining a network of miles of lightly-marked routes on the Randolph Community Forest which tie together skid roads, designated Forest roads, and RMC trails suitable for backcountry skiing. 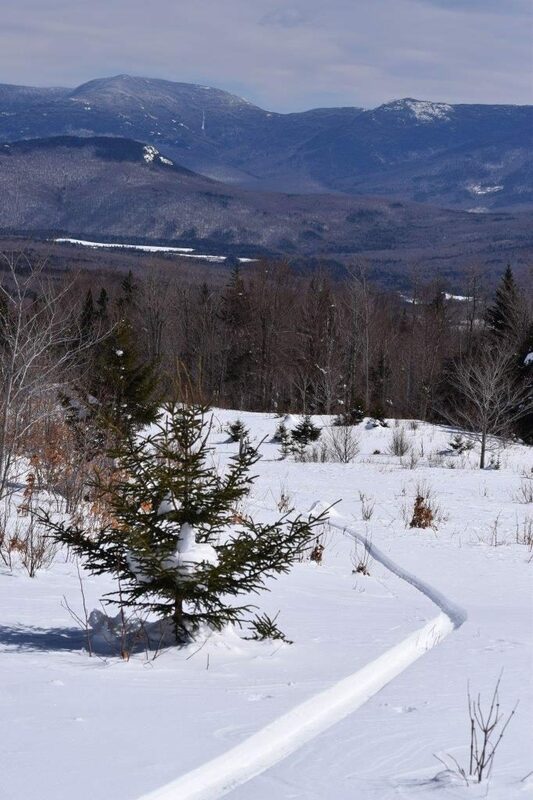 Concurrently in the Northeast, there has been a resurgence of interest in “Glade Skiing” which is very popular in the western part of the country but has only recently seen a new user base eager to ski closer to home in New England. 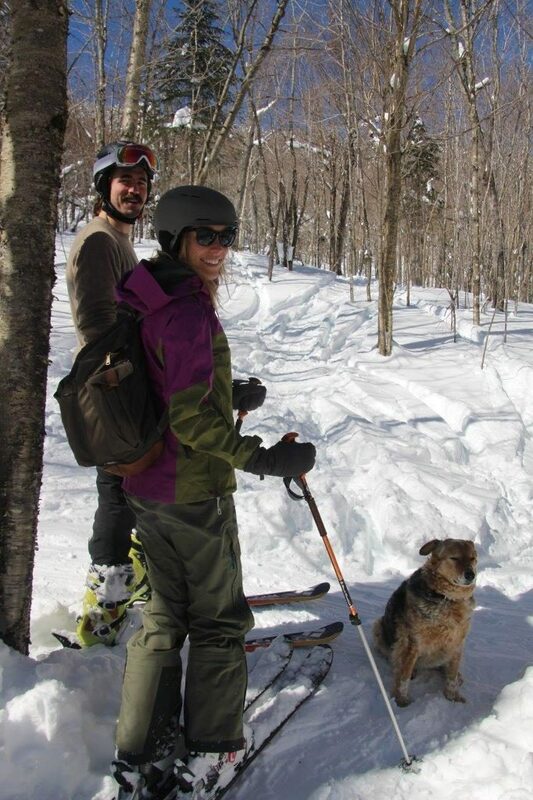 To further this winter recreational opportunity, glades need to be developed on mountainous terrain which has the proper tree density, aspect, snow cover and public access. 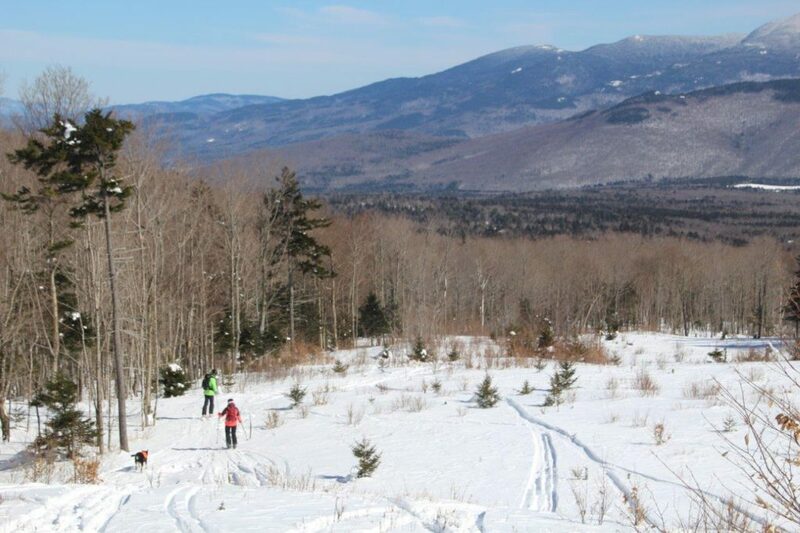 A year ago this past February, the Granite Backcountry Alliance (GBA), a New Hampshire non-profit with a mission to develop glade skiing opportunities in the region, approached the Forest Commission with a proposal to create an area on the Community Forest for backcountry glade skiing. 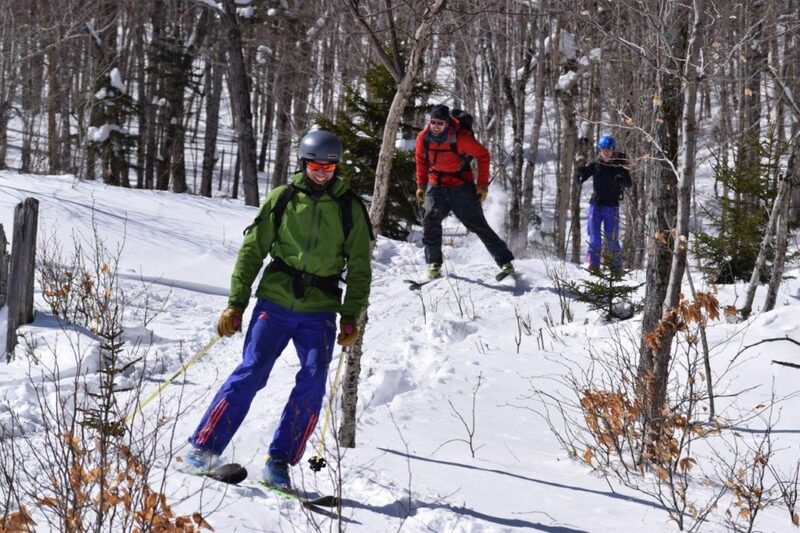 After several meetings spent reviewing maps of potential sites, a visit to the proposed area by our forester, and an ironing out of approved protocols to be followed, the Forest Commission approved the project and designated the GBA as the activity manager for all glade skiing activities on the forest. 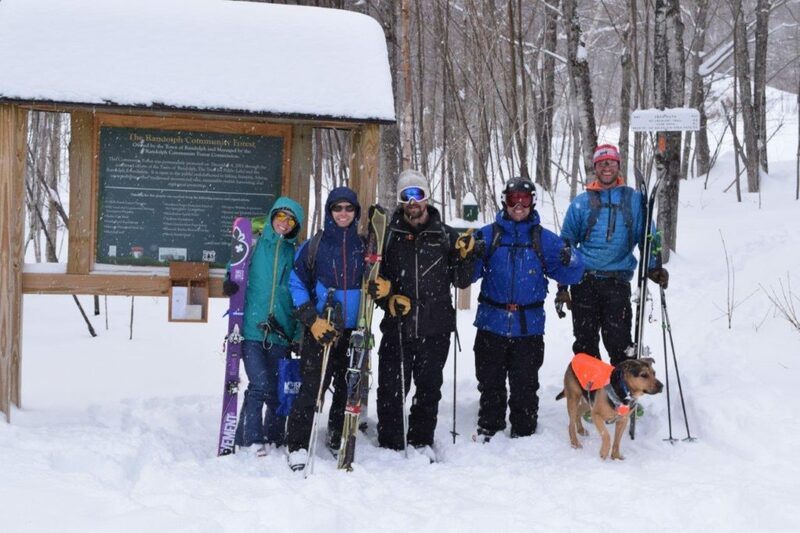 In late August, a group of 60 energetic backcountry skiing enthusiasts spent two days volunteering their time to create about 75 acres of glade skiing terrain in the area previously approved in the bowl of Carlton Notch. 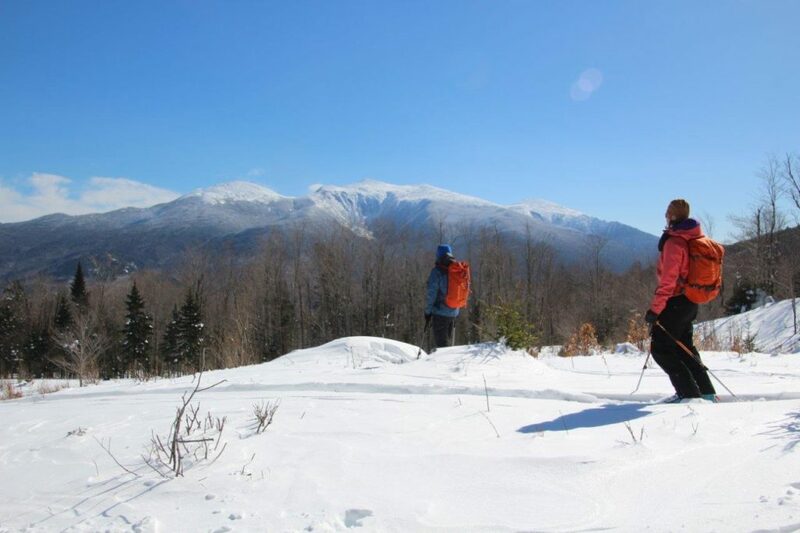 The “Glades” are located in the bowl of Carlton Notch, south and southeast of the Mt. Crescent trail and Lafayette View, in a beautiful stand of northern hardwoods, and continuing downslope to an area of currently open terrain from a timber harvest about 8 years ago which removed trees severely damaged during the 1998 ice storm. 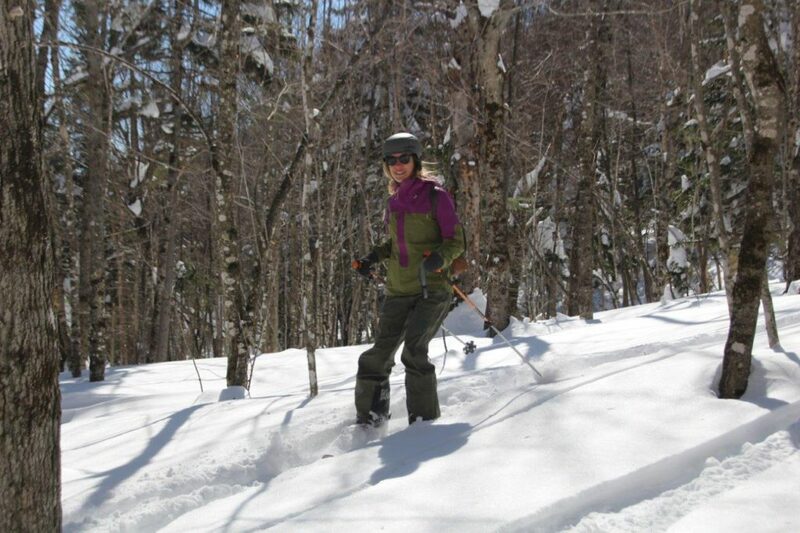 With deep snows in late December and January, and then again in late February and early March reports have been coming in from the “Glades” that the skiing has been nothing short of fantastic. And so, on March 18th with temperatures in the single digits, a brisk wind and almost 2 feet of newly fallen snow this past week, Jen and I took a snowshoe up to the “Glades” to see how things were working out. The first thing we noticed upon arriving in the parking lot at the end of Randolph Hill Road was a good collection of cars from the states of NH, Vermont, Maine, Massachusetts, Connecticut, New York and Colorado, as well as a very clearly packed ski trail leading past the kiosk and headed west towards Carlton Notch. Sara Schwarz and Glen Rennie from Boston, Aaron Finley from Plymouth, NH Tim Beauregard from Manchester, NH and Craig Dagata from Brooklyn, NY and of course Admiral the dog. 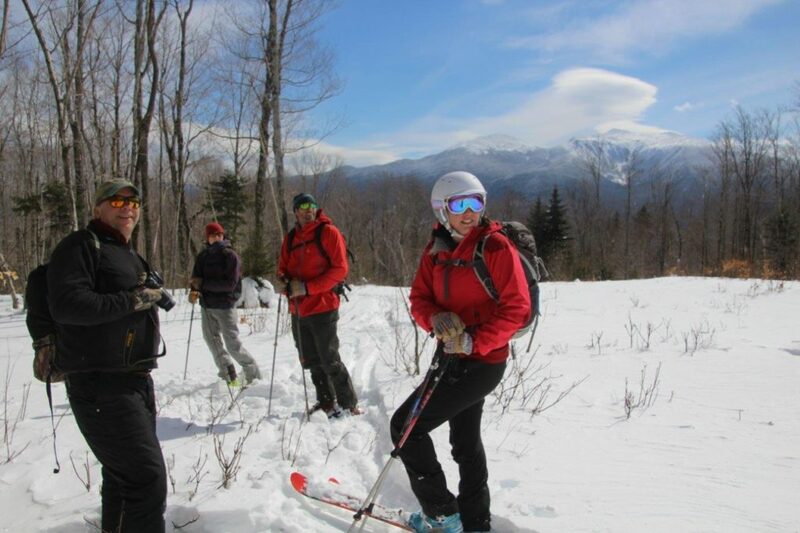 During our hike on the trail to and through the glades, we ran into about 20 skiers whom we spoke with and conducted a sort of quick verbal “survey” with each of them. Where are you from, how was the skiing, are you staying in the area, are you eating at local restaurants, etc. were some of the questions we asked. As a result of our informal “survey” there was a clear and unanimous sentiment from all we spoke to as to how wonderful it was to have this opportunity available and open to public access. The terrain and skiing was fantastic, skiers certainly planned on returning, and they were thankful to the RCF for allowing this back-country opportunity to exist on the forest. It was also clear that some of these folks from away were staying overnight at local motels, and almost all were planning on dining in local restaurants, and most were certainly planning to return. In speaking with several business owners in Gorham, they confirm that they are seeing a positive impact from visitors who have come to the area to ski the Glades on the RCF. When the Randolph Community Forest was created, one of the goals of the forest was that it remain a working forest contributing to the local economy. Traditionally that goal was accomplished through the harvesting of timber which continues to this day. More recent opportunities for creating and preserving local jobs has been the recent maple tapping lease for sap to be processed into maple syrup on designated lands within the forest, and now the contribution to the local economy of overnight guest stays at area hotels and visits to local restaurants from people who have travelled from afar to come to the area and ski in the Glades of the RCF. So perhaps yes, it might be true that “if you build it they will come”, and in this case the creation of the glade skiing opportunity on the RCF is looking like a great success, providing additional outdoor winter recreational opportunities on the forest while contributing to the local economy which should be a benefit for guests and residents alike in the Androscoggin Valley and the region.